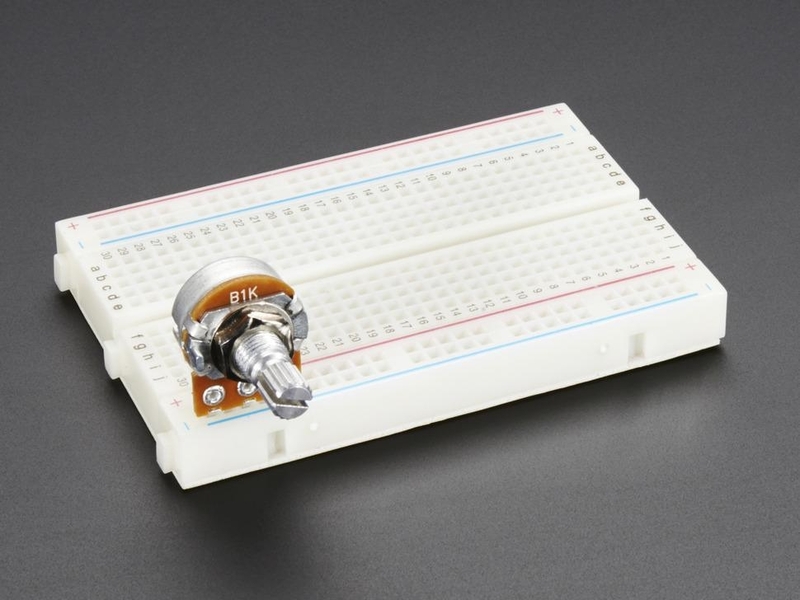 This 1K potentiometer is a two-in-one, good in a breadboard or with a panel. 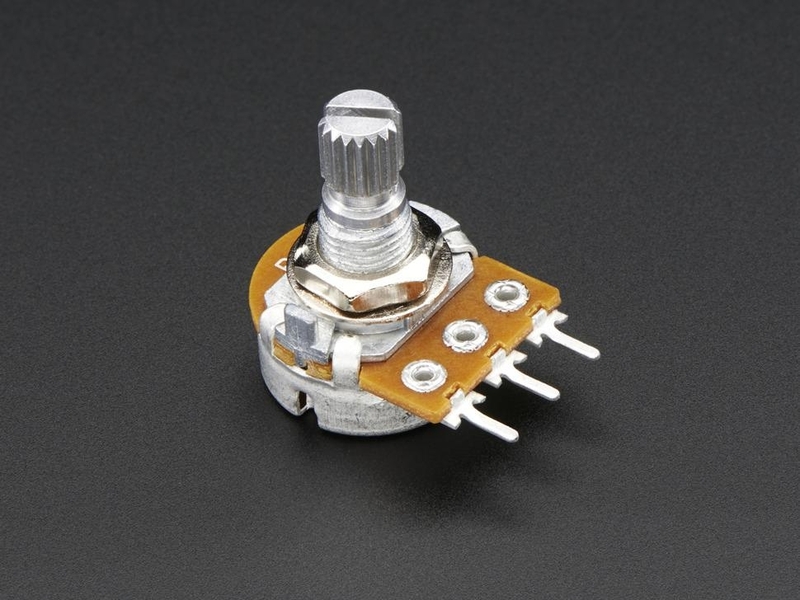 Its a fairly standard linear taper 1K ohm potentiometer, with a grippy shaft. Its smooth and easy to turn, but not so loose that it will shift on its own. We like this one because the legs are 0.2" apart with pin-points, so you can plug it into a breadboard or perfboard. 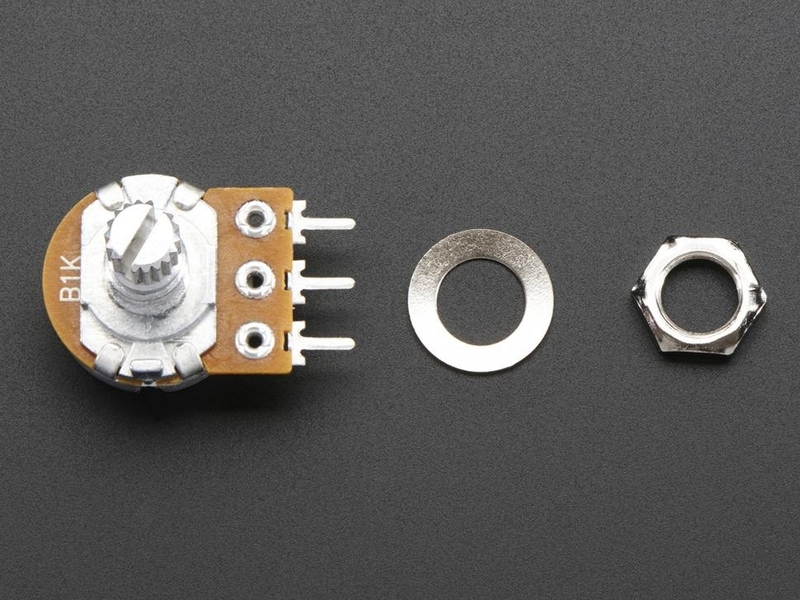 Once you're done prototyping, you can drill a hole into your project box and mount the potentiometer that way.